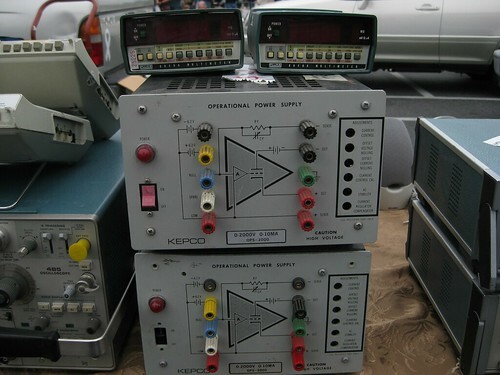 We’ve just posted a few pictures from last weekend’s fantastic Electronics Flea Market at De Anza College in Cupertino. 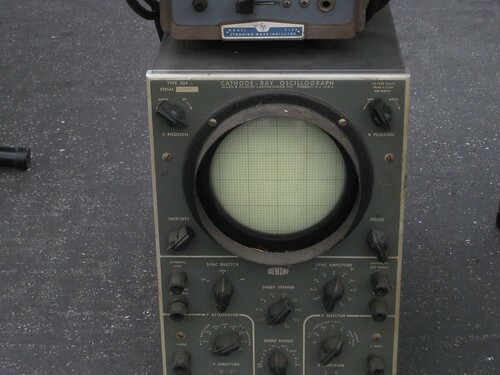 One interesting thing that we came across: a set of leadframes not so different from those that might be made from that photomask that we wrote about a couple of weeks ago. Only one two more flea markets left this year, September 11 is the next one; mark your calendars and we’ll hope to see you there! Corrected 8/16/10: two more flea markets left for 2010– Sept. 11 and Oct. 9. 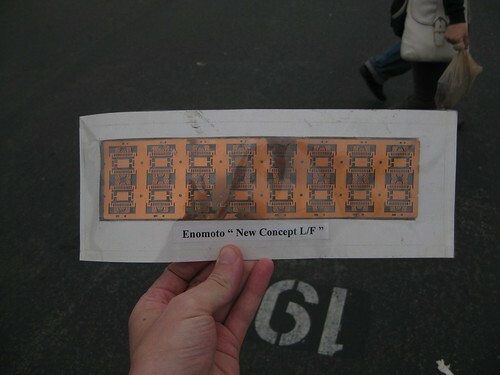 This entry was posted in Electronics, EMSL Projects, Vintage Technology and tagged electronics, vintage tech. Bookmark the Permalink.